Not the same as any other visible laser devices, once dot alignment is processed under night vision work fields, it would be extremely nice job for users to make use of a long wavelength made 808nm infrared laser diode module. It is a quite direct infrared laser beam emitting device, according to its easy equipment of IR device, such as a CCD camera, black and white camera and infrared laser camera, this infrared laser alignment device would just make sure of highly clear and accurate IR reference dot targeting in distance. Comparing with formal visible laser device or manual dot aligning device, this 808nm infrared laser diode module is always bringing users totally different experience for any type of night vision illumination work field. It is getting even longer wavelength than any other formal visible laser devices. It is generating totally invisible laser device from laser beam aperture. In formal dot alignment use, this IR dot laser alignment tool always used as an accessory part, which is also getting different use, including military targeting, laser medical treatment, surveillance and intelligence system etc. 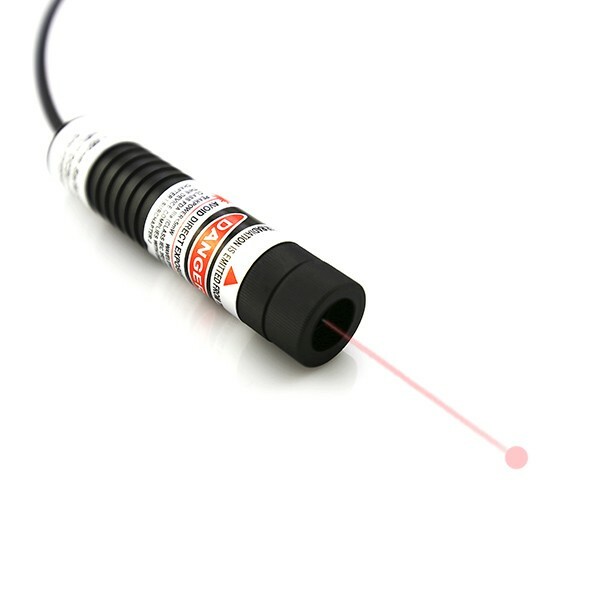 This invisible IR laser device is not able to be used separately, but always operated as an accessory part, and easily obtaining clearly visible IR dot on desired working surface effectively. According to its selected output power of 5mW to 400mW, not limited at quite close distance, this 808nm infrared laser diode module is workable at quite long distance. It is keeping up to 80% photoelectric ability, no matter what kind of output power it is selected, it is keeping quite high intensity infrared laser beam emission, and then making sure of the most concentrated IR reference dot targeting in distance. 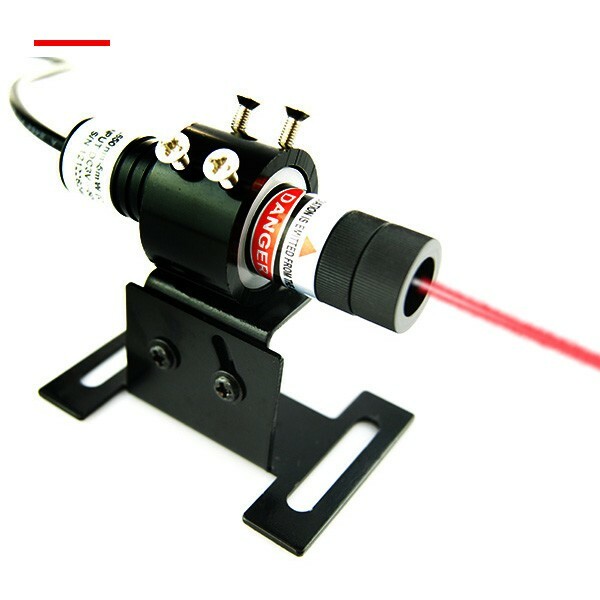 When this infrared laser alignment tool is selected with higher output power of 200mW to 400mW, the genuine IR laser dot aligning distance can be extending as long as 100 meters to even longer distance. In order to get quite easy and convenient installation and adjustment, this 808nm infrared laser diode module is adopting quite durable and compact structure of only 16mm and 26mm, which is able to be installed on any other device. When it is generating extremely intense IR laser beam from laser beam aperture, the special use of APC, ACC driving circuit just assures the most efficient preventing of electric current impacting, and then making sure of the most secured infrared alignment laser dot targeting in long distance. Whenever it is generating invisible IR laser light from laser beam aperture, it is an important issue to avoid eye exposure and wear proper 808nm infrared laser safety goggles, and then achieving highly secured IR dot alignment in long term work.